Enter this lavish 19.5 acre estate thru a beautiful stacked stone electric gate, follow the long driveway through fields of lush pasture. Experience the many luxuries this home offers, ranging from hardwoods, granite counters, & an expansive master suite with separate his/hers bathrooms, with closets to match. Screen porch, hot tub, & in-ground pool! The pastures are picture perfect, & are fenced and cross-fenced. 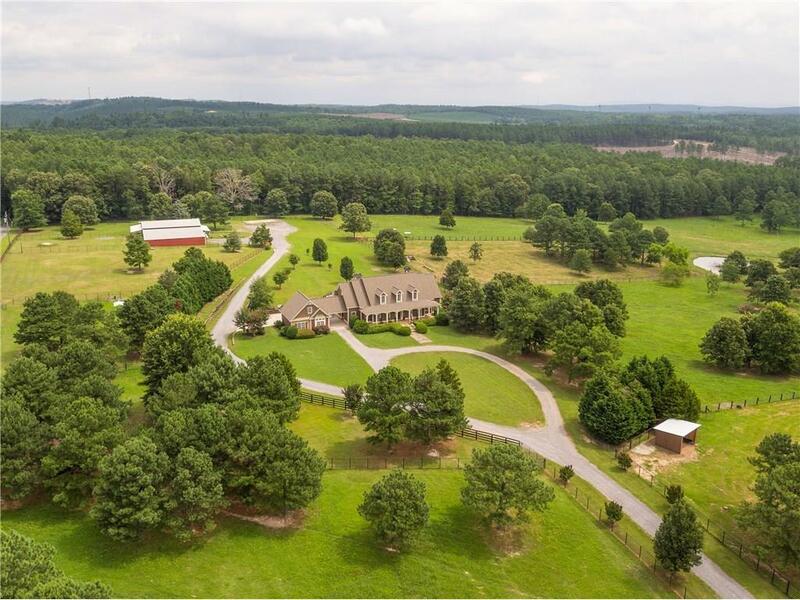 The 5ft no-climb fence, 8 auto waterers, expansive barn, guest house, and enormous utility building are just a few of the upgrades this luxury home features. Directions: 175 North To Exit 290, Ga/20 Rome, Canton, Left Onto Ga20. Left Onto Hwy 411ne, Merge Onto Joe Frank Harris Pkwy To 41n, Rt. On Old 41nw, 2nd Rt Onto Bailey Rd. Home Is On Left.